MILWAUKEE, Nov. 27, 2018 – Baird and Hilliard Lyons announced today that they have signed a definitive agreement for Hilliard Lyons and Hilliard Lyons Trust Company to join Baird, an international, employee-owned wealth management, capital markets, private equity and asset management firm with more than $200 billion in client assets. Hilliard Lyons, an independent investment firm, and Hilliard Lyons Trust Company are both headquartered in Louisville, Ky. Terms of the deal, which is subject to customary regulatory approvals, were not disclosed. Established in 1854, Hilliard Lyons is one of the nation's oldest investment firms and has nearly 1,000 employees, including more than 380 financial advisors, operating from more than 70 offices in 11 states. Together with Hilliard Lyons Trust Company, the firm offers wealth management, trust and estate planning services, as well as select investment banking, municipal finance and asset management services. It has over $50 billion in client assets and had more than $280 million in revenue as of Sept. 30, 2018. Baird, which was established in 1919, has more than 3,450 associates, including more than 890 financial advisors working from 97 locations in 30 states. "As we approach Baird's 100th year, we are immensely proud to welcome Hilliard Lyons to the Baird family," said Steve Booth, President and Chief Executive Officer of Baird. "Hilliard Lyons has an excellent reputation and many other similarities to Baird including a strong, client-centric culture and business model, a commitment to being a great place to work, and a long history of giving back to the community." "On every level, Baird is a great fit for our clients and for the Hilliard Lyons team," said Jim Allen, Chairman and CEO of Hilliard Lyons. "We are especially pleased to return to our roots and rejoin an employee-owned firm. Baird's culture, values, and business model align seamlessly with ours, and its reputation as a best place to work is unsurpassed in the industry." "Joining forces will accelerate the success of both firms and the success of our clients," said Baird Chairman Paul Purcell. "We have a close relationship with Hilliard Lyons that goes back more than two decades, and couldn't be happier to have Jim Allen and the rest of the Hilliard Lyons team join Baird." 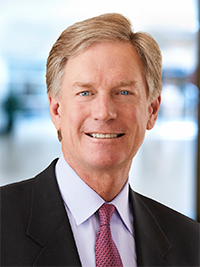 "Hilliard Lyons and its well-respected advisors are known for providing high-quality financial advice and service to clients," said Mike Schroeder, President of Baird Private Wealth Management. "Their trust capabilities matched with our robust wealth solutions make for a powerful combination that will benefit clients." Hilliard Lyons top leadership – Chairman & CEO Allen, President Tom Kessinger III, and Alan Newman, Executive Vice President and Director, Private Wealth – will continue in their roles, working closely with Baird's Private Wealth Management (PWM) leadership team to ensure a smooth transition for the firm and its clients. 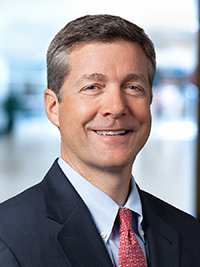 When the merger is completed, likely in the second half of 2019, Allen will serve as a Vice Chairman of Baird and a member of Baird's Executive Committee out of Louisville; Kessinger will serve in a PWM leadership role in Lexington, Ky., while continuing to serve his wealth management clients; and Newman will serve in a PWM leadership role in Evansville, Ind. All will continue to be active in their respective communities as leaders at Baird. The combined firm will have approximately 1,300 financial advisors serving clients from nearly 170 locations in 34 states. That will include maintaining a significant presence in the Louisville community. Hilliard Lyons and Baird share a long-standing tradition of giving back to the communities where their associates live and work. Both firms and their associates support a variety of service, cultural, health and education-related organizations. In 2017, Baird Foundation provided more than $3.1 million in support to charitable organizations. The Wealth Advisors of Hilliard Lyons (hilliard.com) get to know clients deeply, understand their goals and ambitions, then build personal financial roadmaps that will allow them to reach their goals. Building on industry best practices and leveraging the acumen of Home Office staff, they guide clients through all the stages of their financial lives to help them achieve long-term peace of mind. J.J.B. Hilliard, W.L. Lyons, LLC is a member of the New York Stock Exchange, FINRA, and SIPC. Founded in 1854, the firm currently has more than 70 branches in 11 states (Illinois, Indiana, Kentucky, Michigan, Mississippi, North Carolina, Ohio, Pennsylvania, South Carolina, Tennessee, and West Virginia). Hilliard Lyons Trust Company provides asset management, estate planning, wealth transfer tax planning and trust services to high net-worth clients. The Trust Company is staffed by a multi-disciplinary team including estate planners, trust and estate administrators, and investment professionals, and is one of the largest regional trust companies with approximately $10.5 billion in assets. Baird is an employee-owned, international wealth management, capital markets, private equity and asset management firm with offices in the United States, Europe and Asia. Established in 1919, Baird has approximately 3,500 associates serving the needs of individual, corporate, institutional and municipal clients. Baird has $211 billion in client assets as of June 30, 2018. Committed to being a great place to work, Baird ranked No. 12 on FORTUNE's 100 Best Companies to Work For in 2018 – its 15th consecutive year on the list. Baird is the marketing name of Baird Financial Group. 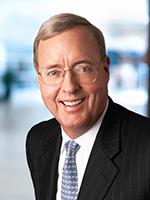 Baird's principal operating subsidiaries are Robert W. Baird & Co. Incorporated in the United States and Robert W. Baird Group Ltd. in Europe. Baird also has an operating subsidiary in Asia supporting Baird's investment banking and private equity operations. For more information, please visit Baird's website at www.rwbaird.com.